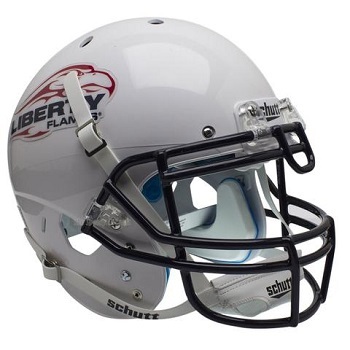 This is the Authentic Liberty University Flames XP Helmet by Schutt. It features the streamlined AiR XP helmet shell, polyvinyl-coated metal faceguard, authentic complete TPU interior padding, ION chin strap and official Liberty helmet decals. For display only - not to be worn. 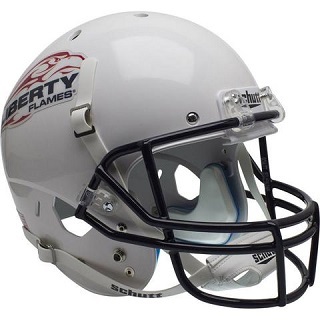 This is the full-size replica version of the Liberty University Flames XP Helmet by Schutt. It features the streamlined AiR XP helmet shell, polyvinyl-coated metal faceguard, TPU jaw pads, ION chin strap and official Liberty helmet decals. Replica helmets do not include full authentic interior padding. For display only - not to be worn. 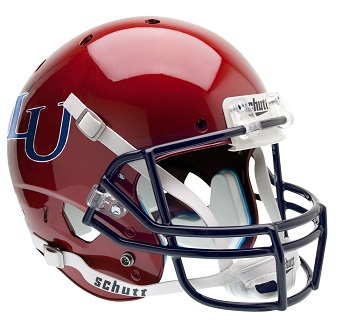 This is the full-size replica version of the Liberty University Flames Red XP Helmet by Schutt. It features the streamlined AiR XP helmet shell, polyvinyl-coated metal faceguard, TPU jaw pads, ION chin strap and official WMU helmet decals. Replica helmets do not include full authentic interior padding. For display only - not to be worn.